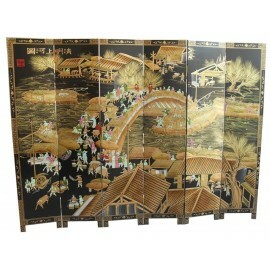 Screens chinese There are 10 products. 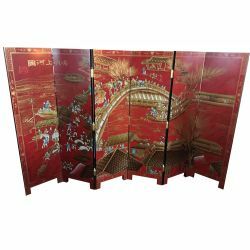 Screen chinese 4-panel painted on its 2 faces of symbolic motifs different.Dimensions: H183 x 41 x 4P. 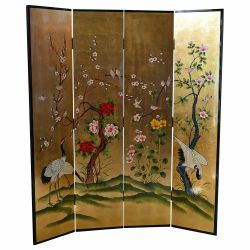 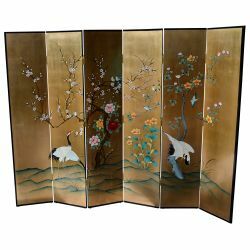 Screen chinese 6 panels.Dimensions: H183 x 41 x 6P. 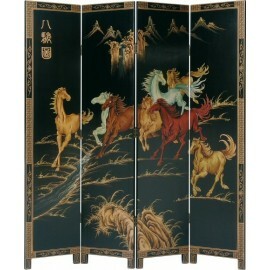 Screen chinese decor horses 4 panels painted by craftsmen.The artist represented the game of chinese horse snorting assertion in the campaign.Dimensions: L183 x 41 x 4P. 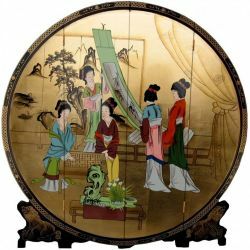 Screen chinese round inlaid mother-of-pearl.The red lacquer is the replica of the screens of ancient times.Dimensions: L183 x 41 x 4P. 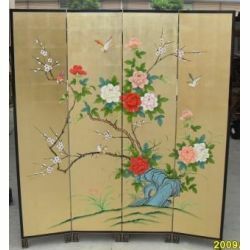 Screen chinese golden peony flowersDimensions: H182 x 41 x 4P. 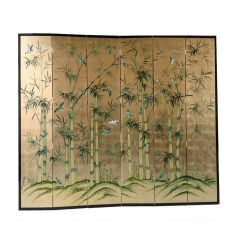 Screen chinese 6-panel pattern bambooDimensions: 183 x 41 x 6P.